Let's face it: Everyone wishes they were making more money. But unfortunately, not everyone can ask for a pay increase and actually get the raise. Still, there are ways you can increase your take-home pay each month without relying on a salary bump. So, double your monthly paycheck by using these 25 tips. Click through to find out what they are — you'll be surprised by how much extra money you can find by thinking outside the box. Look around your house or apartment for hidden sources of income. Sell belongings you no longer need on eBay or Craigslist, or go the old-fashioned route and hold a garage sale. It's a practical way to free up some space — and one of the easiest ways to make money. Switch up your daily commute this month by carpooling with other coworkers. If you have a reliable car, offer to be the driver — on the condition that your carpool buddies take care of all gas costs. If you're not wild about being the sole driver, work out a plan where you each switch off; you'll still save money on fuel. Those cash-back points have to come in handy sometime. If you've been using a rewards credit card, check your statement to see how much you can redeem. Just like money found under the couch cushion, these points were always there — but taking advantage of them is like tapping into free cash you can use throughout the month without dipping into your bank account. There might be forgotten cash belonging to you, just waiting to be claimed. A good way to check to see if you have any money out there with your name on it is to visit MissingMoney.com, which is endorsed by the National Association of Unclaimed Property Administrators. Taking over some of the chores, errands and housework you employ others to do can save you a lot of money in the long run. This can even help on a short-term basis: Find a service you could do yourself — gardening? cleaning your house? painting a room? — and cut it out of your budget for a month. In some cases, you might prefer your own skills and stick with the do-it-yourself method for good. Plus, if you find you've got an aptitude for the chore, you might be able to do it for neighbors or friends for cash. Provided you're not squeamish about needles — and you meet local health code mandates — some organizations hold blood drives where you can be paid upwards of $50 for your blood or plasma. Do some research and, of course, talk to a doctor to make sure giving blood is in your best interest. If you have an opinion on a wide range of topics and issues, why not get compensated for it? There are a number of websites that will pay you for taking online surveys, including OpinionOutpost, E-Poll and Swagbucks. Are there some impulse buys you made at the mall a month or two ago that still haven't been opened or used yet? Rather than letting them collect dust on the shelf, go back to the store where you got them from — with a receipt, if possible — and try to get a refund. If the retailer's return policy is too strict, consider selling the item online or exchanging it for store credit. Do you own a personal parking space? Try renting it out for one month and finding street parking. If you don't own a spot, consider renting out your driveway. Many people are unaware that they don't need to be stuck with an unwanted or partially spent gift card. Sell your gift cards on one of the many online gift card marketplaces out there, like Cardpool or CardCash. Depending on the site, sellers can receive up to 80 percent or 90 percent of their card's original value. Universities, clinics and other medical research groups are always on the lookout for people to participate in behavioral studies and trials. Depending on the compensation per experiment and how many studies you participate in, you could make hundreds or even thousands of dollars a month. Remember to always sign a consent form, do your homework on any organizations you plan on working with, and don't participate in any studies that make you uncomfortable. Cellphones, iPads and laptops become obsolete fast — but that doesn't mean there isn't someone out there willing to buy an outgoing model from you. One good resource for this is Gazelle.com, which will give you an offer for your gadget. 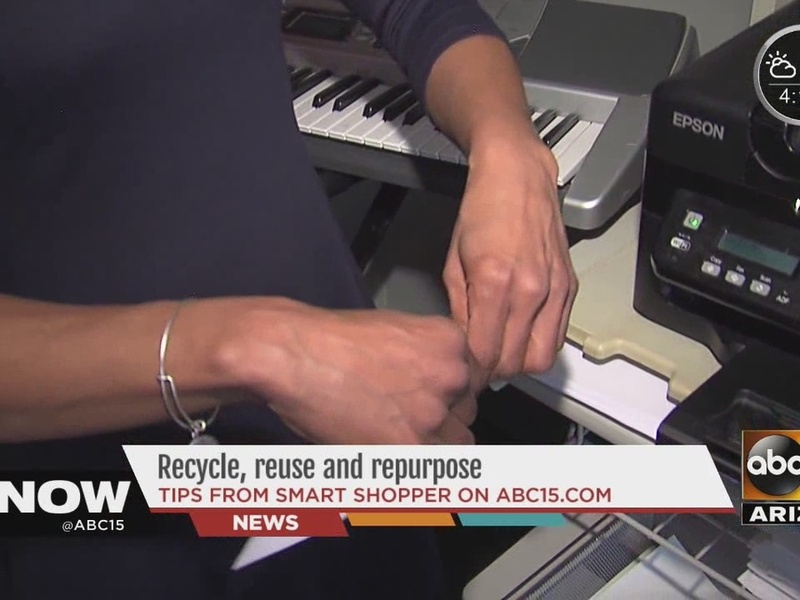 It could be anything from a few tin cans and glass bottles to old tires and computer equipment — recycling can pay off with the right quantities at the right places. One of the best ways to double your paycheck is to earn another paycheck. Try to find a profitable side gig that offers you flexible hours and quick cash in your pocket, like consulting or app development. Is there a specific subject or skill you have a knack for? If you were always a math or science whiz, become an after-school tutor for a student needing help with algebra or chemistry homework. Or, were you always musically gifted with a guitar? Consider offering lessons. Set your own price, depending on the topic and level of instruction — you could easily make hundreds more a month. If you've got an artistic side, your talents can bring in some quick cash when needed. Websites like Etsy.com are the go-to online marketplaces for artisans selling all sorts of homemade creations, from hand-sewn fabrics to natural perfume oils, sculptures and paintings. Have a knack for baking sweets, cupcakes and other treats? Sell some of your homemade baked goods at local farmers markets, swap meets, church fairs or other community events. Another hobby that can easily turn into a paying gig is photography. There are plenty of stock image websites in search of quality, professional-level photos. With some sites, like iStockphoto.com, you'll need to apply to be a contributor and submit samples. Some people have adorned their houses — and even their faces — with advertising copy to save money on mortgages or school tuition. Granted, you probably shouldn't go to that extreme, but there are companies that will pay you for putting their bumper stickers on your car. Visit Bumper-Bucks.com to learn more. Your job will be secret, but the money you get won't be. Try your hand at being a so-called "mystery shopper." You'll visit businesses, pose as a regular customer and evaluate the quality of their service. At the end, you'll be asked to submit a report of your findings. Mystery shoppers — also called "secret shoppers" — might get reimbursed for the food they ate or merchandise they bought. Or, they might get paid a fee. If most of your monthly paycheck goes to food costs, explore one of the many ways to save money on groceries. For example, there are a number of apps that will reward you with cash for every item you buy at a supermarket. If you know your city like the back of your hand, why not get paid to show people around? Websites like Vayable.com allow self-made tour guides to post "experiences" they'll lead — say, a farmers market tour of San Francisco. Interested tourists can sign up and pay by credit card, which goes straight to the tour guide's account. It's not that easy to become a famous film star, but it's somewhat easier to find work in movie production as an extra for non-speaking, background roles. Especially if you live near an area with a thriving film industry — like Los Angeles — don't pass up on the opportunity to hang around a film set, get yourself on celluloid and be paid a small stipend for just being there. If you're trying to get extra cash for a specific purpose or goal, online fundraising sites like GoFundMe and Kickstarter are great ways to generate donations from across the world for any sort of project or personal goal. If you have a spare bedroom or guest house, consider advertising it on home-renting marketplaces like Airbnb. Renting out part of your home could provide a significant second income, and it requires very little effort on your part. You could even just rent out your space when you're out of town, which will land you some extra cash and vetted house sitters.